The holidays are in full swing, and as such, bubbles and fizzy drinks abound. I'm smitten by these cocktail napkins, aren't you? If you're still looking for a good present for your guy, try adding this to his stocking. Get it? Stockings for stockings? Regardless, I love the idea of a Sock of the Month club! 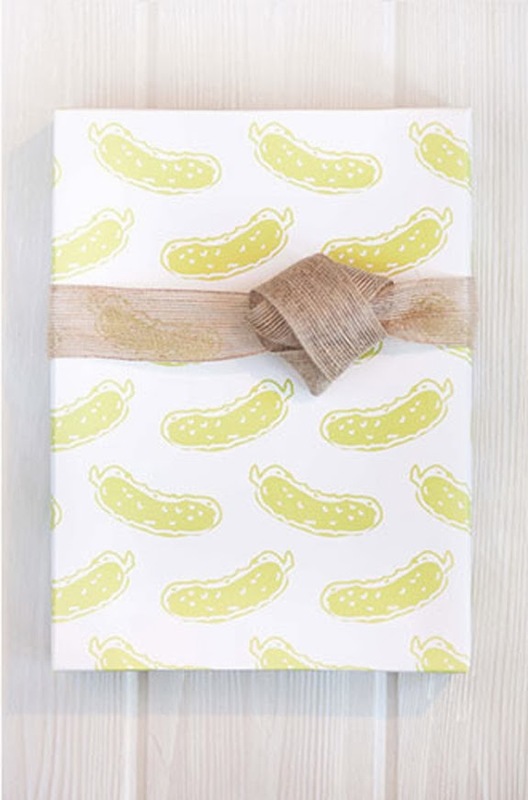 Cannot get enough of this pickle wrapping paper. Pickles are my favorite. I finally got around to reading Where'd You Go, Bernadette, and it's definitely a must-read. No, it's not going to change your life, but it is going to entertain you for several hours. And let's wrap up today with a little unexpected eye-candy. We were there right before Thanksgiving! Small world. Such a gorgeous place.